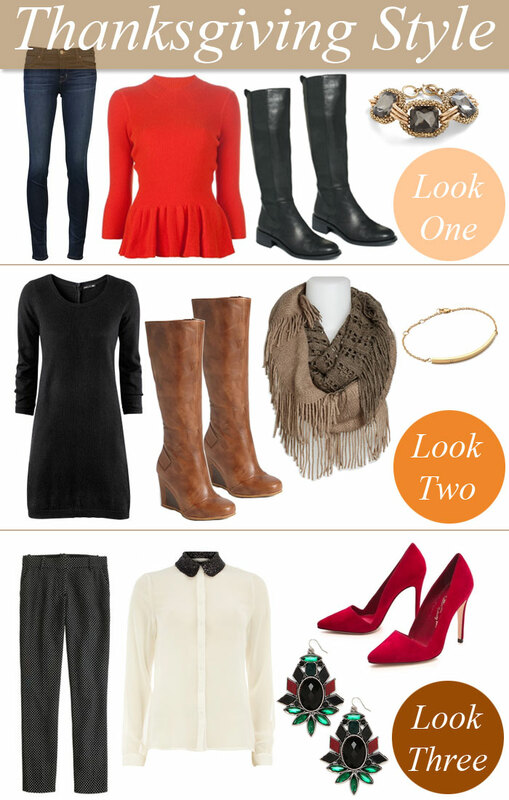 A couple ideas and inspiration for what to wear on Thanksgiving Day from casual jeans to a little more dressed up in a pants and blouse. Thanks! Glad you liked. I love that peplum top too expecially since it’s sweater material. i love the red peplum top and the noir earrings!